The government's drug policy over the last decade has comprehensively failed, delivering the exact opposite of its primary aims. It comes as no surprise that some drug treatment is being administered in an unethical manner, or that government is hyping claims of success for drug treatment. The entire edifice of government drug policy is unethical. It is based upon the lie that criminalisation reduces crime, when, in fact, it creates it. According to its own figures, government-enforced prohibition has resulted in crime costs of over £100bn in the last decade. Prohibition is bound to result in thefts and robberies that arise from the high cost of maintaining an illegal heroin or crack cocaine habit. Rather than the health needs of patients, drug treatment is based on the government's obsession with reducing crime, crime that is created by the official policy of prohibition in the first instance. 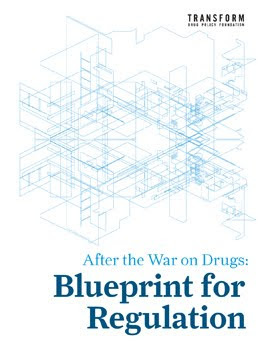 As we enter the closing stages of the government's 1998 10-year drug strategy, we had hoped there would be a meaningful review and consultation process, but the document that accompanies the consultation process (which closes on Friday) has spun pernicious failure as overwhelming success. 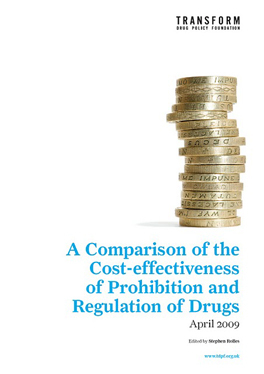 The simple fact is that the UK drug strategy has failed to reduce drug use or drug supply. Class A drug use by young people is at its highest ever level and is the highest in Europe. The use of heroin and cocaine, the drugs identified by the government as causing the most harm, have seen a dramatic rise in use over the last 10 years. At the same time, illegal drugs are cheaper and more available than ever before. The strategy has delivered the exact opposite of its primary aims. Yet the government, preoccupied with partisan law-and-order posturing, remains committed to a drug policy that maximises the harms associated with drug use, that criminalises the poorest and most disadvantaged in our community, that grants a multibillion-pound monopoly in dangerous drugs to gangsters and that dramatically increases the crime harms suffered by our communities. A genuine consultation process would have enabled a meaningful debate to take place on real policy alternatives to the catastrophic failure of prohibition while an honest review of the last 10 years would have provided the empirical basis for that analysis and debate. Tragically, we have had neither. The fact that the government has chosen to spurn meaningful engagement with any new ideas, and put propaganda in place of a real review, can only perpetuate the failures of the past decade.